Voting has ended for 2015. 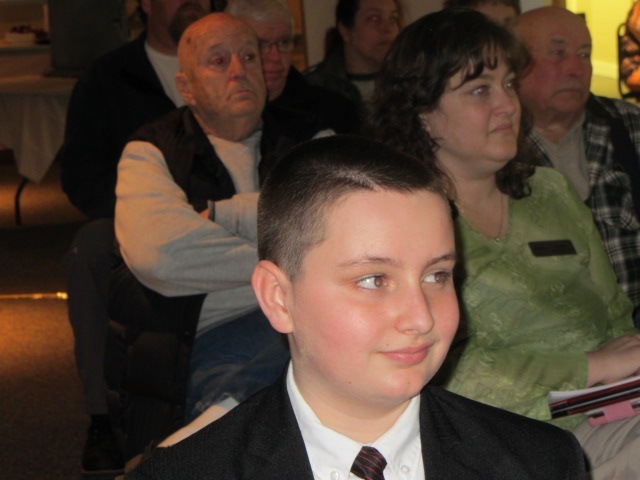 Joshua is in 6th grade at the middle school with high honors. 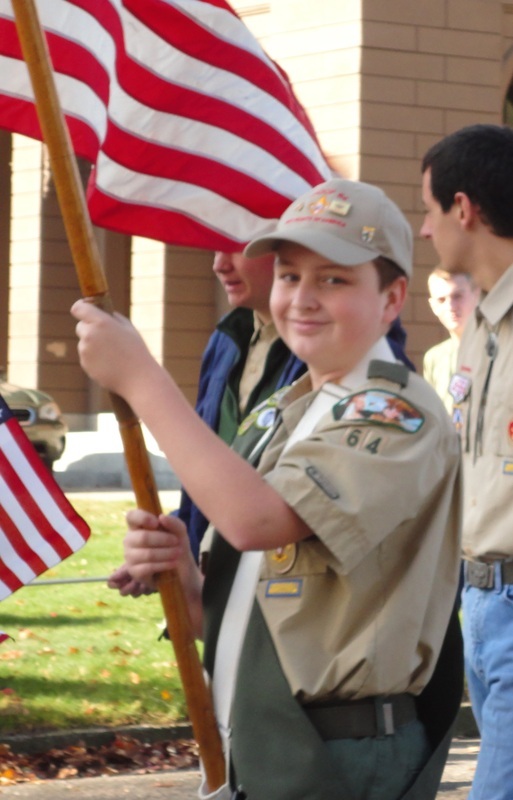 He is a member of Boy Scout Troop 64. He has played MMC football for the last 2 years. Ebenezer was born October 6, 1787 and died May 8, 1868. 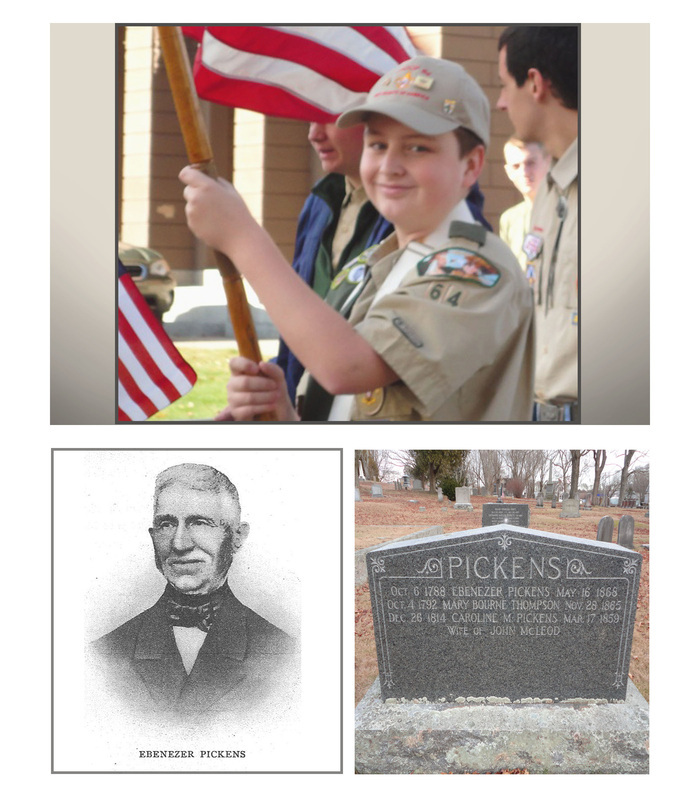 He is Joshua's 4th great grandfather. Ebenezer became a Justice of the Peace in 1822 and a trial justice in1850. He ran his court room out of his house in Middleboro. 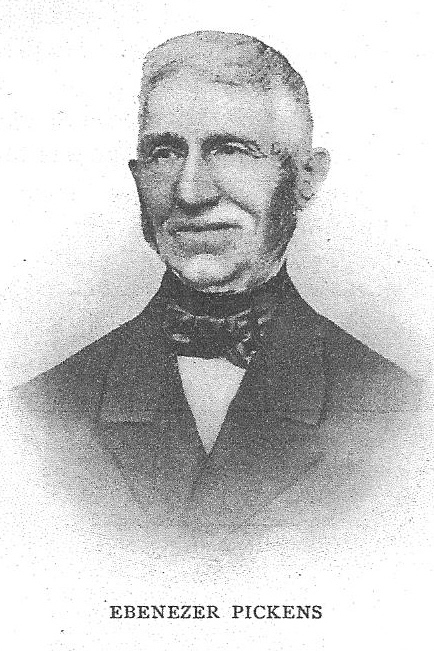 He was a county commissioner in 1847 for 9 years. Ebenezer was buried in Central Cemetery. 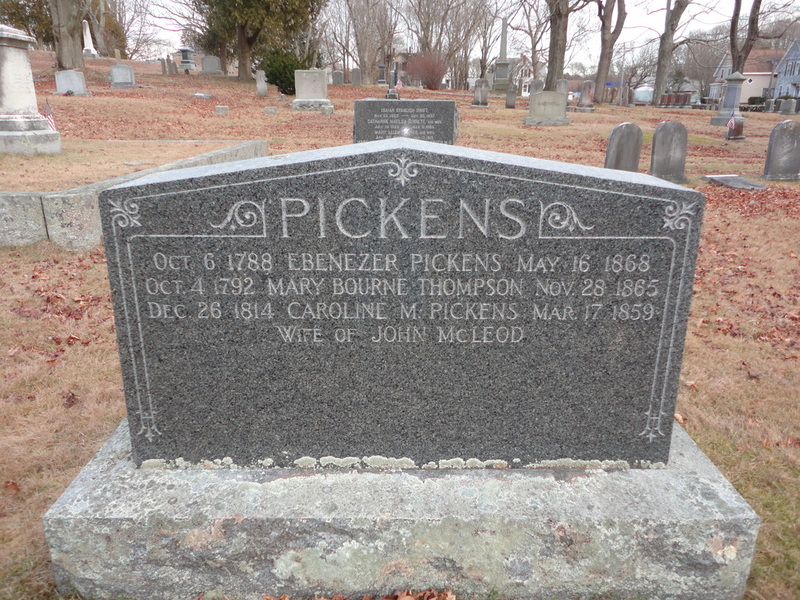 Thomas Weston, in his book "History of the town of Middleboro, Massachusetts", in the chapter "Four Corners", wrote: "One of the well-known men who lived at the Four Corners was EBENEZER PICKENS , son of Samuel and Matilda Briggs Pickens. He was born in that part of Middleboro now Lakeville, not far from the Bell Schoolhouse, October 6, 1787, and was the youngest of three brothers. He married, October 5, 1813, Mary Bourne Thompson, a descendant of Francis Cooke. They had three children, Caroline Matilda, and Andrew Jackson and James Madison, twins. They lived near his birthplace until the year 1832, when he removed his house to its present site near the corner of Main and Courtland streets. He resided there for twenty years, and in 1852 purchased land on the southerly side of Main Street and erected a large house with a room on the east side for an office and court-room for his use as a trial justice. He was appointed a justice of the peace in 1822, and a trial justice June 18, 1850, which he held until his death. He was elected a county commissioner in 1847, and served nine years. When he lived in Lakeville, and later, he attended church at the Green with his family, and, though is was eight miles distant, they were seldom absent from the services through the summer's heat or the winter's cold. On the formation of the Central Congregational Church, he was one of the deacons, an office he held until his death at the age of eighty years, May 8, 1868. ".